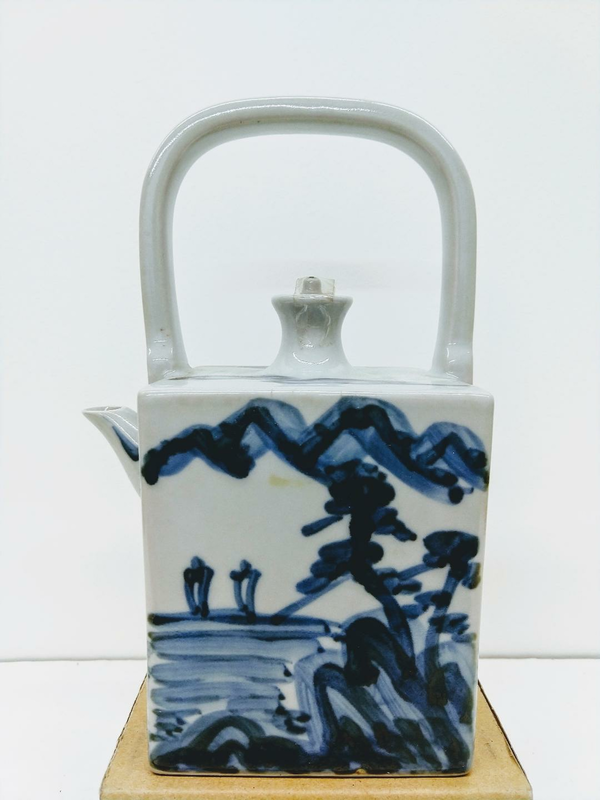 A striking blue/white sake carafe to serve sake in style. 3 1/2" X 3 1/2" square body. 7 1/2" height and 4 3/4" fro, spout to end of handle.